George E. Lewis is many things: a Columbia professor whose work extends the study of improvisation beyond its traditional musical connotations, a composer whose work moves from computer-based improvisation to full orchestral scoring, a brilliant and versatile jazz trombonist, and an author whose book, A Power Stronger Than Itself, is a thrilling history of the Association for the Advancement of Creative Musicians, the Chicago-born black arts organization that launched the careers of the Art Ensemble of Chicago, Anthony Braxton, Muhal Richard Abrams, and Lewis himself. In honor of the A.A.C.M. 's 50th anniversary, Lewis has written Afterword, an opera based on the book. Afterword is having its first previews this week, at the Brooklyn performance space Roulette. Ahead of that performance, Afropop's Sam Backer caught up with Lewis to discuss his new work. Sam Backer: To start with, can you introduce yourself? 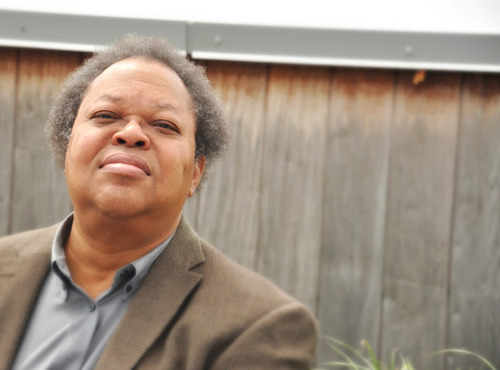 George Lewis: I’m George Lewis and I’m a composer. That’s great. [Laughs] That’s perfect. So you’ve finished composing an opera, right? I’m about to finish. Everything is coming in really hot. It’s an interesting thing, making an opera. There are levels of complexity that I never imagined. I’ve never done this before. And luckily, I’ve got some great collaborators--Sean Griffin, a director who runs Opera Povera in Los Angeles. It’s all across the country. And Catherine Sullivan, a film and theater artist who is in Chicago. So between us, we’re making this go. What led you to compose an opera? This opera has a curious provenance. 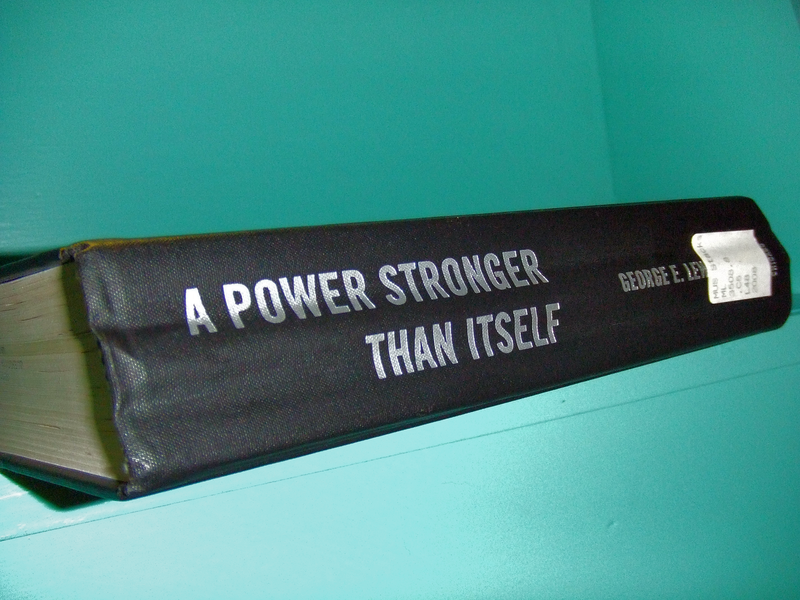 It’s based on a book that I wrote in 2008 called A Power Stronger Than Itself: The A.A.C.M. and American Experimental Music [Afropop produced an episode based in part on this book], so it’s about the Association for the Advancement of Creative Musicians. And it’s part ethnographic, part historical, about--basically, it talks about how black experimental musicians self-fashioned a transformation for themselves, in terms of discourses about them, in terms of their economic strategies, in terms of their musical ideas. They had experimental bent, and it seems to me this is a story about musical experimentalism that hadn’t really been told in quite the way that--I hadn’t read anything like it, anyway--so I decided to write it, and it had some success. A lot of people read this book! And among the people that read it were my collaborators, and also someone from the University of Chicago, the director of the Franke Institute for the Humanities, where I was in residence, as a resident scholar. And he made a curious comment. He said, “You know, this book of yours, it could be a play, like a theater piece.” Really? As an academic book, 700 pages long, I was just worried that people would drop it on their foot or something. And he said, “No, no. It’s really got some legs that way.” So I said, “That’s great.” And I hadn’t thought about it. And then it turned out that there were grants from the University of Chicago through the Mellon Foundation, and through an organization they have there called the Gray Center for the Arts. So, Sean Griffin and Catherine Sullivan applied as a collaborative team to work on this and they got it, and then we started work. And that was in 2013. So it’s taken us about two years to get to this point, where there’s an opera. The title is Afterword, and it’s about the A.A.C.M. 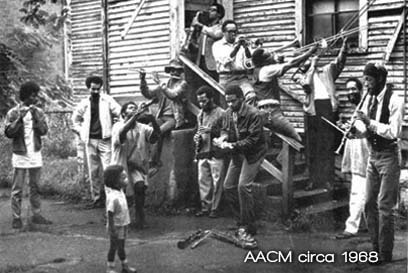 and some of the struggles that I think black experimental musicians went through, first, in terms of naming themselves experimental musicians, and secondly, in terms of the political and social currents of the time and how certain kinds of music require certain strategies of resistance and discursive change. I know you said you were surprised that people thought it should be an opera, but when the press release came across our email at Afropop, it made a lot of sense to me. I think it’s a book with a lot of voices in it, kind of in counterpoint, almost. And I think you were very conscious in the book that you were describing a multiplicity, not a unitary history. Well, that actually is retained. It’s an unstable polyphony, as I like to call it. I interviewed about a hundred people for this book, and people of very diverse backgrounds, very diverse ranges of aesthetics, so that there was no single definition that we could the A.A.C.M. under. And so that had to be reflected in an opera project. It’s a small opera. It’s like a chamber opera. There are three singers and seven performers and a conductor. So it’s a small project. But even so, you can produce that polyphony, that heterophony of voices, that sense that what the singers are representing are not individual characters. There’s no character named Muhal Richard Abrams or Anthony Braxton or something like that. What’s happening here is that they’re representing some of the ideas that animated the A.A.C.M. So the singers are like avatars and the band, the International Contemporary Ensemble who is performing, are also avatars. You can think of it as, there’s this German term, a bildungsroman, which means a coming-of-age story, a coming-of-age novel. Well, this is a kind of coming-of-age opera, a bildungsoper. So, I’m looking at the ways people in the A.A.C.M. came of age and what they faced along the way. So, when they’re avatars for these ideas, are they avatars conceptually, or musically as well? Are they representing certain kind of musical thrusts? Well, you know, it's a funny thing, because that was one of the issues that we faced early on. There were so many different kinds of music that came out of the A.A.C.M. It was all very individualized and there was no real kind of way to categorize. So if I were to try to write different kinds of music to represent different ideas, it could really devolve into a kind of imitation or pastiche or something undesirable. I’m trying to work with what the ideas present to me, in terms of sound, and that’s a very intuitive and individual process. And it’s really not connected with my sort of impressions. It’s not an impressionistic romp through the A.A.C.M. It’s more like my trying to grapple sonically with those histories. So in some ways it’s an expansion of the text and in some ways it’s almost like your reflection on it? Yeah. It’s a reflection on a reflection. The book is my long-winded reflection on the A.A.C.M. And this book is a reflection on that reflection. So this kind of double reflection. And it’s a translation or a transduction too. Translating the book into a new medium. So a lot of the things--first of all, it’s not an academic book, so it has different standards of engagement. And it has to somehow reach people in an emotional way. I’m not saying the book didn’t. When I did the first book signing, there were people who were in tears, asking me to sign their book. They never thought anything like this would ever be published. And so I found that very moving. I guess, that the A.A.C.M. meant a lot to a lot of people. That has a downside or a difficulty as well, because it meant a lot to so many people. That means that everybody is going to have--those who know the organization and know its reputation for experimental music--are going to come to the concert with a kind of preconceived idea of what the music will sound like, based on their image of the A.A.C.M. And I think those people have to remember that the A.A.C.M. was predicated on diversity and individuality of aesthetics. What that means is that this is the A.A.C.M. filtered through my sensibility as one person, rather than me trying to gather everybody together and account for the entire A.A.C.M. sound, which you really can’t do anyway. It’s funny that you call it a reflection on a reflection. Because it’s really, in a way, full circle. Music, among other things, being reflected into a book being reflected back into music. Music reflected into image. Because the Roulette performance is not going to be fully staged, but we are working on the costumes for it. So there will be that at least, and lighting. And then the premiere will take place at the Museum of Contemporary Art in Chicago, because the A.A.C.M. was born in Chicago, so it makes sense for the opera to be more or less birthed in Chicago. So what we’re showing at Roulette is kind of a preview of the opera. But, ideally, we’re talking about music, image, film. All these elements will be connected in the main premiere. So there are multiple paths of reflection. There’s a perspectival, multi-voice aspect to the opera. Can you tell me a little bit more about the images? I know the press release said that it’s going to be some things from the past, from the actual time of the A.A.C.M. Is that correct? Well, we thought about that. It’s still a work in progress. We are working on it. Roulette was born as an experimental music space. So we are using this for its intended purpose. Roulette has been very gracious in allowing us the space and time to rehearse and try out ideas. And so we’re using that possibility to create different ways of thinking about past, present and future. There are lots of ways to stage these things. Even at the level of costumes, there are so many looks. There’s the Afro-futurist look or there’s the sort of retro down-South look. There’s the 1960s hipster look, or whatever. And so, all those looks… Or I don’t know. 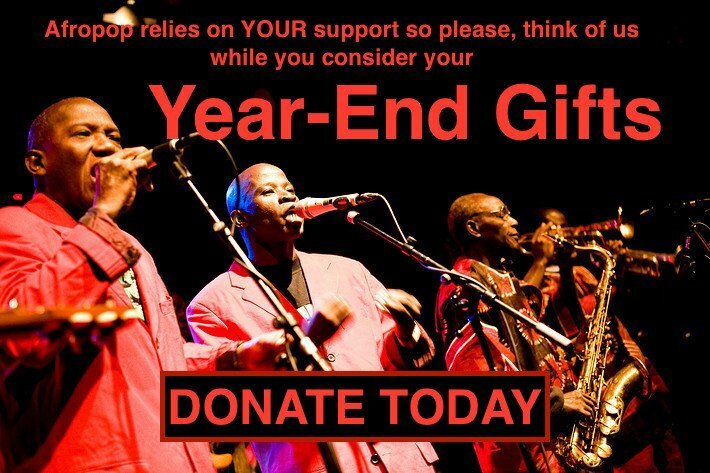 There’s even the Sun Ra look. And you could do all those things. And you could go back to the past and bring people up to date. But it’s not a period piece. So I expect the costuming… When we finally decide what to do, I expect it to be as diverse as we can make it, given what the organization is about and the staging, and all the rest. So my major concern was not to engage in stereotyping. I wanted to have an open space. In terms of the visual component, is there also an accompanying art show or something? Oh yeah. This opera premiere is taking place at the end of an art exhibition called The Freedom Principle. The Freedom Principle is about black political and cultural politics in the 1960s, ‘70s, and ‘80s. But it sort of goes beyond that. There’s a lot of contemporary work in the show. There’s work by Charles Gaines. There’s work by Stan Douglas. Actually the Stan Douglas piece is a reflection of black musicians of the 1960s. I even have a piece in there with Douglas Ewart, who’s the lead artist. Me, Douglas Ewart, and another Douglas--Douglas Irving Repetto. It’s a robotic kinetic installation, where Douglas Ewart’s sculptures are being kinetically moved via computer control, motors and things of that sort. That’s a piece we actually built in 1992 that’s being put on again. It’s had a few showings. So, I don’t know everything that’s in the show, but it’s a pretty big show. It’s going to be up until November, so in mid-October, that’s when our part of it will be there. So the opera is under the auspices of the Freedom Principle. But it's not part of the same work? No, it’s not the same work. But it’s related. I mean, they wanted us to do the opera while the Freedom Principle was running, and I thought that was a good idea. But beyond the premiere, we’re doing several other previews. We’re doing one for the Ostrava Days for New Music in the Czech Republic. That’s going to be in August. And we’re doing another kind of look at the Huddersfield Contemporary Music Festival in the United Kingdom and that will be in November. So you could say that it could be done anywhere. Once we get it finished, we’re hoping to see it all over the world. George Lewis: The Will to Adorn (2011) from ICE on Vimeo. So do you think you can tell me a little bit more about the work itself? Like what the scoring is like or what the structure’s like? I had a lot of ideas about having this or that level of indeterminacy and all that, improvisation. But these days, I've abandoned that. These days, when I write music, I just write it on paper and give it to the musicians. And it’s really hard to play [Laughs]. And they do a great job playing it. So I find that’s my medium right now. That dialectic with notation. So the music is pretty much scored. Nobody’s doing any hot licks. I’m sitting in the audience. That’s how I like to do it now. Now, the acting elements are another matter. I will include various elements of improvisation, various indeterminacies connected with the score. Most of those don’t impact the sound. They mainly impact the imagery. But in terms of the actual structure of the piece, the scenes talk about the great migration and life in the south, because most of the founders of the A.A.C.M. were children of the Great Migration. In fact they all are. All four of them. And many of the others. 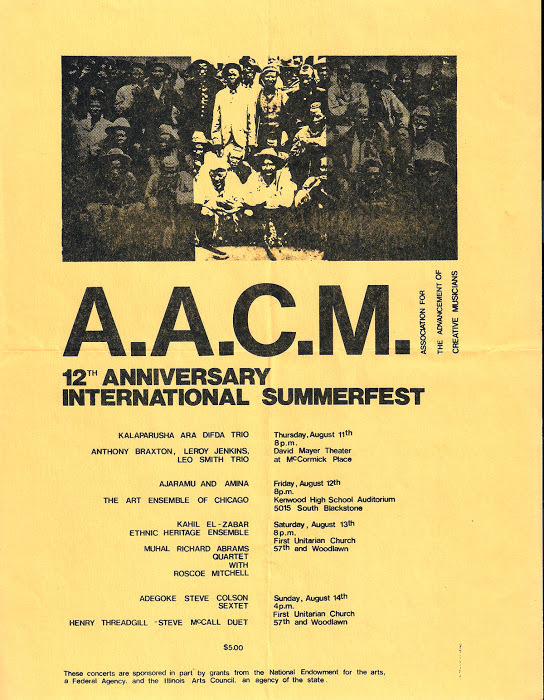 And then coming to Chicago and what happened to them there and then depicting them trying to realize that dream by forming the A.A.C.M.--by the process of organizing. Organizing is very difficult and it’s fraught with all kinds of problems. People have different aspirations, very different agendas. And so I try to explore some of that. Other parts kind of deal with realizations about identity. And of course, conflict. So those are the kinds of things the opera is basically about. That’s not all the scenes, but the first act is about an hour and the second act will be done at the premier. So the acts--the second act will take us internationally--the A.A.C.M.’s move into cosmopolitanism represented by people who went to Paris and discovered not only Paris. They discovered Africa there. They were much closer to Africa in Paris than they were in the United States. So everything completely changed. Particularly, Francophone Africa is very prominent, since the ‘20s. The legacy of that is still present in the ‘60s when the A.A.C.M. gets there--those kinds of discoveries. And then, trying to figure out how to deal with issues of generational change. The A.A.C.M. is 50 years old now. That means that there are people who are in their 80s and people who are still in their teens, all part of the same group. Some of them haven’t met each other. So how do you deal with that kind of generational flow, to keep something going that long? Well, it’s ideas that keep those things going. It’s all based on what your ideas are. Is the A.A.C.M.’s current incarnation connected at all to the opera about them? Oh yeah. Well, first of all, they know about it. Secondly, some people from the A.A.C.M. will be part of that second team of people doing this. Because there are actors in the A.A.C.M. There are sculptors in the A.A.C.M. There are rappers. There are all kinds of people--spoken-word artists. A lot of those people are going to be involved. There’s even a school with young people. So we’re expecting to involve some of them as well. So, I wouldn’t say it’s officially sponsored by the A.A.C.M., but it’s hard to do an opera unless the subjects of the opera like you. [Laughs] So I’ve been lucky. I’ve had a great deal of support and cooperation from both the Chicago chapter of the A.A.C.M. and the New York City chapter. They’ve both been very supportive. I watched your university lecture on YouTube. You opened it by responding to the idea that “If you’re going to do a lecture on improvisation, it should probably be improvised.” I’m wondering if you can talk about the creative tension with doing a non-improvised musical work about a group that wasn’t all improvised all the time, but clearly had improvisation as one of the core elements of its history and method. I don’t see any tension there. People in the A.A.C.M. do what they want. [Laughs] That’s what I’m doing! No, I don’t see any tension there. People in the A.A.C.M. 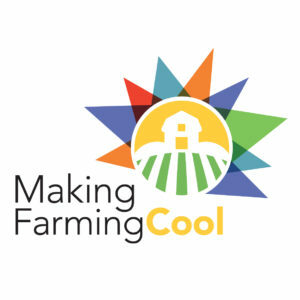 produced all kinds of things. This isn’t even the first opera. Leroy Jenkins produced an opera with Bill T. Jones that premiered in Germany on television. That was a great opera. I didn’t see anybody improvising in that. Next week, there’s going to be a tribute to the A.A.C.M.’s 50th anniversary, sponsored by Thomas Buckner’s interpretation series. And Peter Kotik, the Czech conductor and composer is conducting three orchestra pieces by me, Roscoe Mitchell and Muhal Richard Abrams. I think, the thing is that the A.A.C.M. was a very multivoiced group and so, even if you’re writing an opera about the A.A.C.M., it’s not like a Hollywood biopic model, like everybody argues over who should make the Malcolm X picture, and once that’s done, nobody else can make a Malcolm X picture. Well that impoverishes the set of ideas that can be generated by someone as important as Malcolm X. So, it’s a great movie, but why can’t there be five of them? He’s certainly that important. So similarly, with my book it was the same. People asked me, "What happens if someone writes a book before yours?" I don’t care! Let there be more books. In fact, there’s one coming out pretty soon by a French anthropologist, Alexandre Pierrepont. It’s coming out this month in French about the A.A.C.M. So, I didn’t see any tension there. It wasn’t a big issue. If you think about many of the seminal A.A.C.M. works...they’re not unoperatic to begin with. In some ways, they’re very visual and they’ve got theatrical elements and they’re musical as well. I wonder what you see what the relationship is, if any, between those earlier works and this one. Well, you know I wear a couple of hats beyond the making of music. I also do a lot of academic writing. I teach over here at Columbia University, I teach composition and historical musicology. So I’m involved in both. 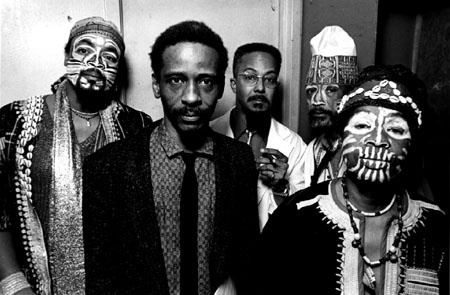 One of the things that I’ve been writing about is the relationship between the Art Ensemble of Chicago, which is one of the important A.A.C.M. groups and their sort of theatricality or performance art orientation, and the way in which they organized these massive arrays of instruments, in what you can only say are assemblages. So right away, you can connect that idea of the assemblage with other assemblage artists working. Contemporaneously, there’s the California assemblage movement, people like Betye Saar and John Otterbridge and Noah Purifoy. So that kind of vibrancy. That kind of combination of improvisation and composition, placing disparate elements in communication, juxtaposition, to produce a kind of multi-agent model of how to make art. So I find that’s very attractive to me. And I’m trying to do that in the course of making this composition. A lot of it comes out of--you do have these avatars for these very divergent ideas that are trying to come together and that’s being depicted and it’s also being enacted. There isn’t just a depictive element. I like to have something that’s real time, real world. I mean, composition--I love to compose. But it’s in a separate space and can be brought into a space and you sit there and you turn it on and it operates. So not everything works like that. So we’re talking about producing improvisation and indeterminate elements. Even a precomposed structure has to somehow be compatible with a range of potential options. That’s how I work. So that’s a thumbnail sketch-sort of an answer. It’s an intriguing question, and deserves even a longer answer. Do you think you can expand on the idea of those avatars a little? When I was working on the book, the last chapter is called “Afterword.” Everytime you write an ethnographic book or interview, there’s a lot of quotes going on, but the author is staging those quotes, and it may be artfully done, but basically, there’s a certain power invested in that position. I decided to take that power and really run with it, rather than try to deny or make alternatives, which people usually try to do, I said, “Let’s make an entire chapter based just on the quoted voices.” And no intervening text by me, in other words, contextualizing the text, because it turned out the quotes were contextualizing themselves. I interviewed a hundred people, but everybody wanted to talk about what the A.A.C.M. meant to them. Everybody wanted to talk about their aspirations for the future. Everybody wanted to talk about the racial and gender situation. Everybody wanted to talk about this and that. So there were a set of themes already established. I didn’t ask a lot of these questions. They just turned up. And so, I just asked people very prosaic things, like “Where were you born?” “What’s your music like?” Things of that sort. That “Afterword” chapter is the fundamental model for what the book is about. So with so many people talking about life down South, for instance-- another word for that would be a composite. In other words, it was different for women than for men down South. So that has to be reflected in what the text is, what the libretto is about. And I constructed this libretto. Often librettos are not constructed by the composer. So I constructed this, but I constructed it from the interviews and from the book. And so I often put people together, people who are making similar statements about life was in the South or depicting the first organizational meeting. There are people who are very afraid and very skeptical. So there are these ideas about fear--fear of not having a leg to stand on. Fear of doing something for yourself. Fear of resistance or opposition once you’re trying to get something different going. So there’s all those things. There’s fear. There’s trepidation. There’s insecurity. There’s also triumph. So I didn’t feel those need to be invested in particular people. There was another reason for doing it in this way. The A.A.C.M. is pretty inclusive. And there are all these people past and present. They have this exhibit called Free at First in Chicago right now. It’s going to go on until midsummer. It’s at the DuSable Museum of African-American History and it’s about the A.A.C.M. It’s an exhibition of 50 years of amazing things that the A.A.C.M. has done. So one of the things that the organizers did was try to find everyone who had ever been in it, which is very difficult to do. There are lots of little rosters and all of that. But when I was writing my book, I went through a similar process. And someone said, “Well, you should put out a CD along with the book.” And I said, “Well, no, because anyone who is not on the CD will be disappointed, and there’s no reason for me to privilege one person in the book over anybody else." Let that happen on the basis of what they’ve done and their history and track record, not on the basis of me saying, “Your music deserves to be on the CD, but not yours.” So it’s similar with this process. You can’t put everyone in. So basically, I wanted to put everyone in, through melding them into certain avatars that could represent multiple people at the same time. So it’s an attempt to be kind of democratic. One of the things that I think is really interesting about this project and about the book itself is the extent to which it plays with the idea of history. I think A Power Stronger Than Itself is one of the most artful histories I’ve ever read, and from my understanding, I think the A.A.C.M. had a very historical mission itself, in that it had a sense of the importance of history in what it was doing. And so the book reflected on that. It’s a very historiographically astute book, I think. So I’m just wondering how that connects to the opera and how that question of history is present in an opera about the A.A.C.M. You find out pretty quickly that you can’t really do the same kind of historical detail that you do in a book. And even then, you find that a book is representative of a particular point of view, and you establish a certain narrative. And there are non-narrative approaches to history, particularly in the medieval era of history. The narrative kind of emerges later. And so I’m threading the needle between narrative representation and sort of non-narrative modes of addressing those histories. What I will do with your impression here is that I’ve asked people to think about representation, because that was--history was the background for issues of representation. How the A.A.C.M. was represented. 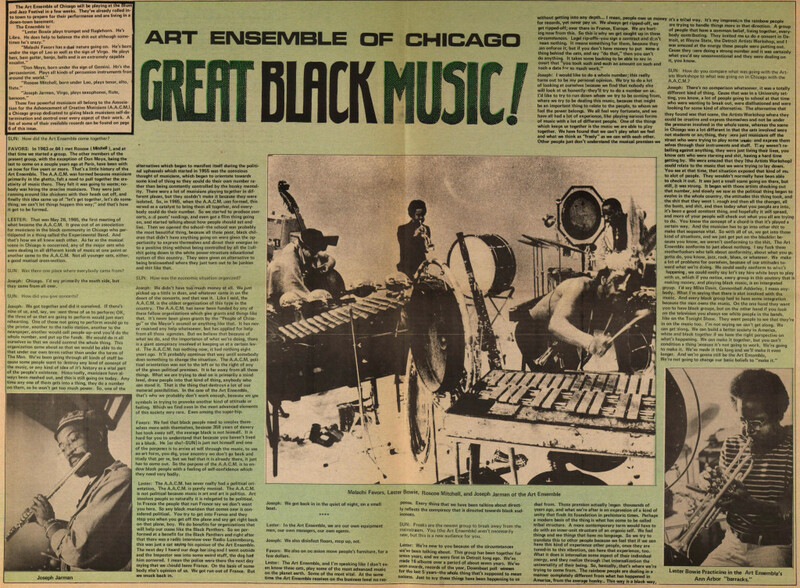 Now, the classic example is the term “great black music.” “Great black music” was a term made up by the A.A.C.M., by the Art Ensemble of Chicago people, and now, Cité de la Musique did some exhibition with the same title a few years ago. They published a book and everything. And they had all these different kinds of black music. And their idea was to focus on the black part. And “great black music” is a great slogan if you’re thinking of a certain model of that. So I asked Roscoe Mitchell where the term “great black music” came from and he said, “Well, nobody was calling our music great.” So suddenly, that changes the game up. In other words, that’s an issue of representation, something that people--you pass by the orchestra hall or wherever you see “great performances,” but it would always be the same people at the great performances, and you’d never see anybody who looked like you. So for them to call it “great black music” was--it was beyond vindication. It was a self-fashioning game changer, done discursively. So the music and discourse come together. When I think about representation in the opera, my task is not to represent things as they were, and that’s why I’m not bound to sound like some stereotype of what the A.A.C.M. supposedly sounded like. I sound like myself. But in doing that--sounding like yourself, that’s the old African-American music thing. You have to get your own sound. So that ends up being perfect. So history and representation get connected up. It’s kind of a broad question. It’s broad, but it’s a good question, because certain kinds of stories that you tell about, let’s say, Chicago in the ‘30s and ‘40s and ‘50s, drawing upon history to reconnect contemporary audiences with certain kinds of realities that were faced by, basically, poor struggling people. And so, in a way, there’s a kind of miraculous transformation that comes out of that, which is that we often hear that these kinds of things are unchangeable destinies and you will be like this forever. So we see that some of the crabs managed to crawl out of the barrel and really do some important stuff. I think that provides some hope and history and hope are always connected. People in the A.A.C.M. were very concerned with African history and the way it was represented. And African-American history. And that continues to be very important. And so I am very careful to respect that in the course of doing any kind of opera. But that doesn’t mean that the opera has to have any particular sound. Sounds have histories, but we often don’t know what they are. They don’t announce themselves. In order to find out the history of a sound, you have to look at its environment.